Kentucky GOP Sen. Rand Paul says he’ll try to block last-ditch efforts Sunday to renew NSA and other anti-terrorist and surveillance programs. The Libertarian-minded Paul led a filibuster-like effort over the Memorial Day weekend that helped block legislation to extend federal surveillance efforts but suggested upon leaving the Senate chambers that he might reconsider. Barring a last-minute deal in Congress, three post-Sept. 11 surveillance laws used against spies and terrorists will expire when Sunday turns into Monday. Senate Majority Leader Mitch McConnell has called back the upper chamber for a rare Sunday session to decide on whether to accept a House-passed bill that extends the programs. Congress would then send the measure to President Obama to sign before midnight. The House’s USA Freedom Act passed overwhelmingly in the Republican-controlled chamber but fell three votes short of the 60 needed to proceed in the Senate. And efforts in the upper chamber to extend the current law also have failed. Much of the debate has focuses on the National Security Agency’s collection of Americans’ telephone calling records, authorized under one of the expiring provisions, Section 215 of the Patriot Act. Independent evaluations have cast doubt on that program’s importance, and even law enforcement officials say in private that losing this ability would not carry severe consequences. Yet the fight over those records has jeopardized other surveillance programs that have broad, bipartisan support and could fall victim to congressional gridlock. The FBI uses Section 215 to collect other business records tied to specific terrorism investigations. A separate section in the post-9/11 Patriot Act allows the FBI to eavesdrop, via wiretaps, on suspected terrorists or spies who discard phones to dodge surveillance. A third provision, targeting "lone wolf" attackers, has never been used and thus may not be missed if it lapses. If the Freedom Act becomes law, the business-records provision and the roving-wiretap authority would return immediately. The NSA would resume collecting American telephone records for a six-month period while shifting to a system of searching phone company records case by case. If no agreement is reached, all the provisions will expire. 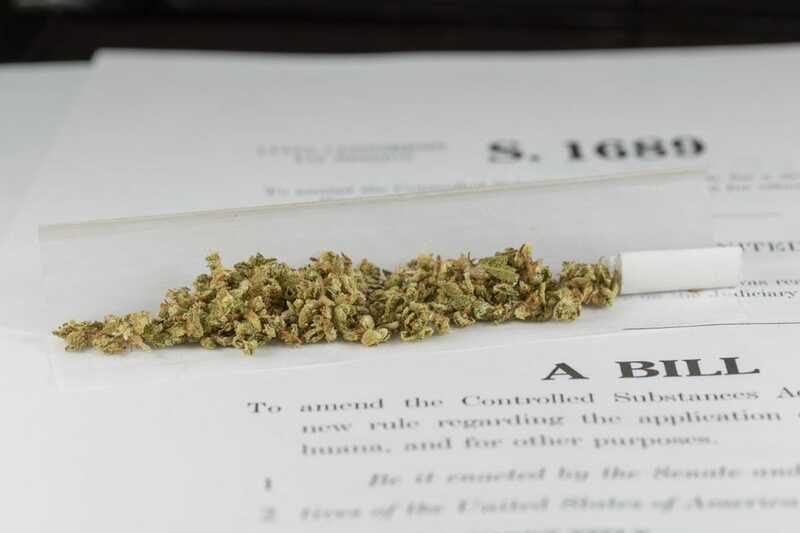 A third possibility is a temporary extension of current law while lawmakers work out a deal, but House members have expressed opposition. Failure to pass the legislation would mean new barriers for the government in domestic, national-security investigations, at a time when intelligence officials say the threat at home is growing. Government and law enforcement officials, including Attorney General Loretta Lynch and Director of National Intelligence James Clapper, have said in recent days that letting the wiretap and business records provisions expire would undercut the FBI’s ability to investigate terrorism and espionage. Lynch said it would mean "a serious lapse in our ability to protect the American people." Clapper said in a statement Friday that prompt passage by the Senate of the House bill "is the best way to minimize any possible disruption of our ability to protect the American people." And President Obama used his weekly radio and Internet address Saturday to accuse opponents of hijacking the debate for political reasons. "Terrorists like al Qaeda and ISIL aren’t suddenly going to stop plotting against us at midnight tomorrow, and we shouldn’t surrender the tools that help keep us safe," he said, using an acronym for the Islamic State group. Civil liberties activists say the pre-Sept. 11 law gives the FBI enough authority to do its job. To bolster their case, they cite a newly released and heavily blacked out report by the Justice Department’s internal watchdog that examined the FBI’s use up to 2009 of business record collection under Section 215. "The government has numerous other tools, including administrative and grand jury subpoenas, which would enable it to gather necessary information," in terrorism investigations, the American Civil Liberties Union said in a statement. Section 215 allows the FBI to serve a secret order requiring a business to hand over records relevant to a terrorism or espionage investigation. The FBI uses the authority "fewer than 200 times a year," Director James Comey said last week. The inspector general’s report said it was used in "investigations of groups comprised of unknown members and to obtain information in bulk concerning persons who are not the subjects of or associated with an authorized FBI investigation." But from 2007 to 2009, the report said, none of that material had cracked a specific terrorism case. The report analyzed several cases, but most of the details are blacked out. In some cases, the FBI agent pronounced the 215 authority "useful" or "effective," but the context and detail were censored. Fox News’ Chad Pergram and The Associated Press contributed to this report.